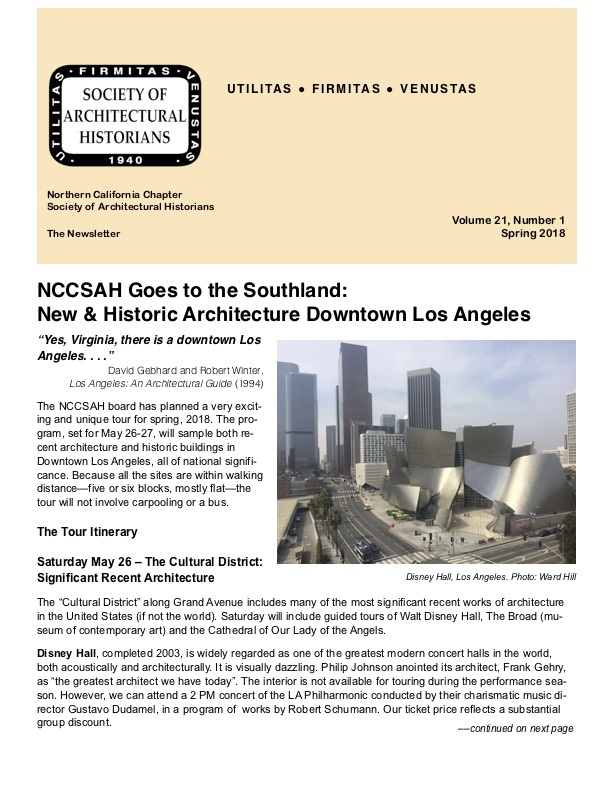 Casting aside age-old rivalries, our members, mostly based in the San Francisco Bay Area, ventured south for a long weekend visit to Los Angeles. Pleasant spring weather greeted us over the Memorial Day weekend. From our base at the historic Biltmore Hotel in the, now, much-revived 1920s era downtown, we explored our surroundings over two days, entirely on foot. 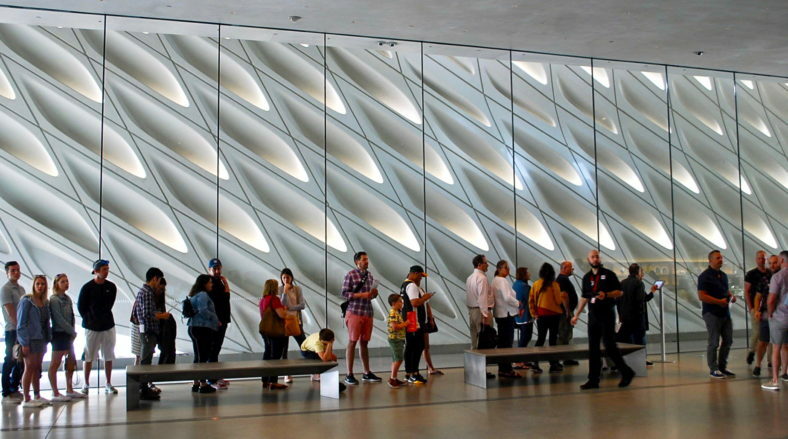 Our focus on the first day was LA modernism, with excellent guided tours of Frank Gehry’s Disney Concert Hall, the adjacent Broad Museum and, a short walk away, the Cathedral of Our Lady of the Angels. Our group returned to the Disney, after a box lunch on the grounds of the cathedral, for an outstanding performance by the Los Angeles Philharmonic. Sunday morning found us in Pershing Square where we met excellent guides provided by the Los Angeles Conservancy, for a downtown tour whose highlight was the famed 1893 Bradbury Building. After taking lunch at liberty, we had excellent guided tours of the Biltmore and the LA Central Library, an Art Moderne gem by Bertram Grosvenor Goodhue. The conclusion of a very successful weekend came during the cocktail hour at 71 Above, the 71st-floor lounge of the US Bancorp Building.